Rangat is 210 km away from Port Blair. 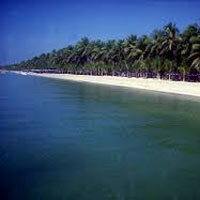 It has many coconut trees and one can spend hours exploring the raw nature treasured in the place. The town is inhabited by Begali and Tamil people. 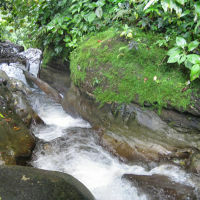 One can enjoy various water sports here such as river rafting, trekking, scuba diving etc. It is the turtle nestling ground and is situated 20 km away from Rangat bazaar. The best months to visit the Cutbert Bay Beach are December to February. One can also make visit to the turtle sanctuary, which is very near to the beach. The sandy beach is situated at 8 km away from Rangat. The tourists can enjoy activities like sun bathing, swimming and snorkeling here. Batapur Beach is located 20 km away from Mayabunder. The sandy shores are ideal for unwinding and the adventure lovers can also enjoy many activities in the azure beach water. Panchavati Water Fall is a major stopover for all those traveling towards Cutbert Bay Beach. There is also a beautiful beach named Amkunj Beach near the waterfall. 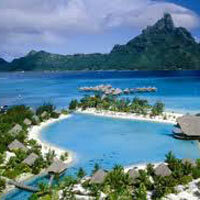 It is 240 km away from Port Blair and is famous for its serene beaches and mangrove creeks. One can also hop to the nearby Avis Island. If one is planning a trip to Mayabunder town, one must stop to spend some time at the Karmatang Beach, which can be spotted while on the way to the town. 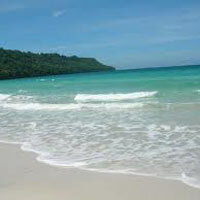 Rampur Beach, is a popular beach of Middle Andaman and sprawls on the borders of Mayabunder town. The beach is smaller than the Karmatang Beach. It is a 1 km long walkway and while treading on it one can see the mangrove flora and the wild life stashed, very closely.